Renowned for their breathtaking brilliance, the Leo Diamond is visibly brighter owing to its 66 carefully placed facets. A stunning 1/3ct diamond solitaire sits in a four claw setting, forming the centrepiece of this beautiful platinum engagement ring. 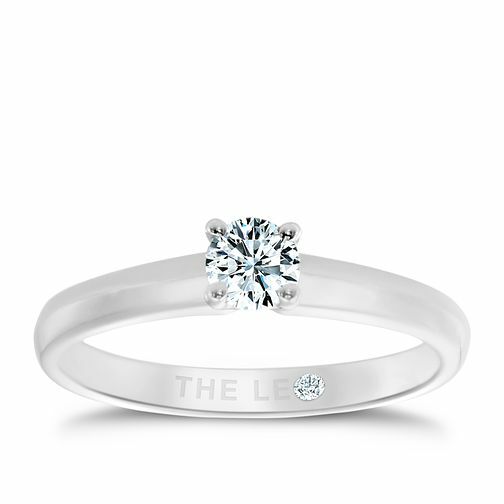 A hidden diamond and "The Leo" engraving on the inside of the band lends a beautiful finishing touch.